Copper Nickel elbow is the connector that changes the direction of the pipe. Connection methods are threaded and welding. According to the angle, there are 45 ° and 90 ° 180 ° three kinds of the most commonly used, according to the project also includes 60 ° and other non-normal angle elbow. 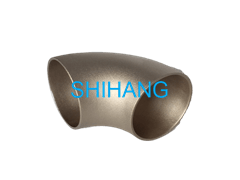 Copper Nickel elbow first by its radius of curvature to points, can be divided into long radius elbow and short radius elbow. 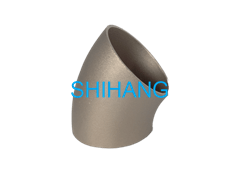 Long radius elbow refers to its curvature radius is equal to 1.5 times the tube diameter, that is, R = 1.5D. The short radius elbow refers to its radius of curvature equal to the outer diameter of the tube, ie R = 1.0D.